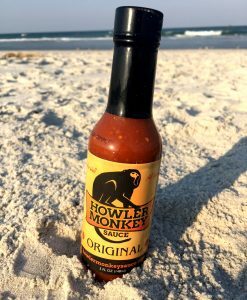 Howler Monkey Amarillo-Glazed Pork Chop Recipe turns it up a notch! Prepare medium-hot grill. 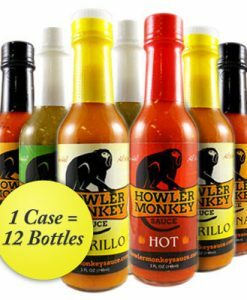 Stir together honey and Amarillo Howler Monkey Sauce. Season chops with salt & pepper and grill over direct heat, turning and basting with Amarillo-honey mixture until chops are nicely browned. 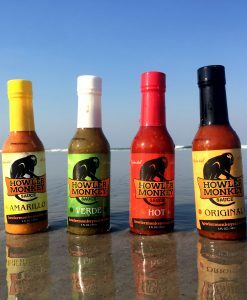 Takes about 8-12 minutes until internal temperature reads 145 degrees Fahrenheit, followed by a 3-minute rest time. Uncage the Monkey!